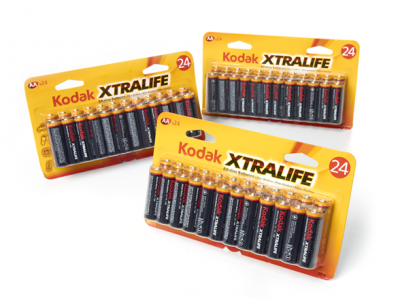 Woot (Amazon Company) has 70% off - 72 pack Kodak AA or AAA Batteries for $14.99, limit 3 per customer with a flat $5 shipping fee. Stock up on batteries for a low price. These batteries are best used by 2019 and comes with a 1 year Kodak warranty.